Danielle Panabaker: What’s it like to act in both TV shows and movies? What’s It Like to Act in Both TV Shows and Movies? 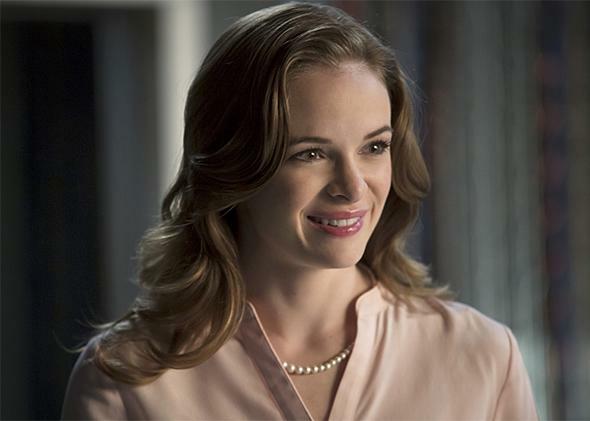 Danielle Panabaker as Caitlin Snow in The Flash. It is an exciting time to be an actor. The industry, alongside technology, is changing rapidly. There are so many sources for content, but in my opinion, television has some of the best, most innovative and challenging material right now. (I feel that way both as an actor and as a consumer. There is just so much amazing television right now!) Television also offers a variety of quality material at all different levels. For me, television is especially appealing because it is much more consistent work, especially as a regular on a show. With movies, you’re constantly hopping from one to another, often in different locations. In television, like on The Flash, we shoot in Vancouver, so I can predict where I’ll be for nine months out of the year. Creatively, it’s fun to grow with a character on television. In film, you already know the full arc of the story and character when you start. With television, the character is (hopefully!) growing and changing. Each script brings an opportunity to move forward and evolve based on the previous episodes. The cons of television are that you can be limited by budget or by the time in which you have to tell your story (or both). For example, we only have eight or nine days to shoot each episode of The Flash, and that includes all the stunts and special effects, so we often shoot 14 hours a day. That said, I think I am superbly lucky in the commitment The Flash team has made to create special effects that are movie-quality. Another challenge, particularly on a new TV show, is that we have a new director every week. In film, it is important to trust the director and his vision; in television, the director is often a guest on the show and not as familiar with the material as the actors might be. Television Business: What will become of Game of Thrones in the long run? Acting: How would you rate Emilia Clarke as an actor? Movie Business and Industry: Is Hollywood increasingly relying on movie sequels and franchises to generate higher box office returns?